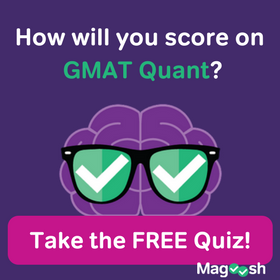 If you increase your GMAT score by five points, ten points, fifteen points, will that mean that you’ll eventually earn more money? One test-prep tutor here in the San Francisco Bay Area used to advertise that if you spent $5000 on his services you’d recoup that in the first five months of your post-MBA employment. His reasoning? He expected a twenty-odd-point improvement in your GMAT score with his help, he argued that such an improvement was associated with admission to a significantly higher-ranked MBA program, and that completing that higher-ranked program was worth an extra $12,000/year in starting salary, on average. More recently a couple of national test-prep firms have made similar, if slightly more modest claims. 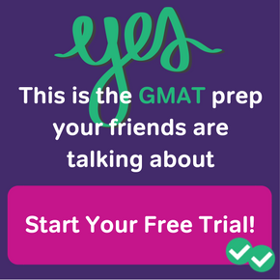 One firm argued that every point increase on the GMAT was associated with $325 increase in post-MBA starting salary; another argued that a decrease of 10 points on your GMAT would cost you about $3000 in starting salary, a scarier way to make the same point. Obviously these claims are self-serving. Those making the claims hope that you’ll feel justified in paying them thousands of dollars to help you improve your score. But even self-serving claims might be true, right? The correlation is undeniable. The causation is a little shaky. The basis for all these claims is that MBA programs that have higher mean GMAT scores also have higher median post-MBA starting salaries. All of those annual ratings of U.S. and international MBA programs—U.S. News, Business Week, Wall Street Journal, Economist, Financial Times—share the same raw data, and year after year the results are the same. There’s a near perfect correlation between mean GMAT score and median salary of new graduates, and in fact a near linear relationship between those pairs of values. The alleged mechanism by which your increased score leads to an increased salary is pretty simple. (1) A higher GMAT score allow you to enroll in a school that has higher post-MBA starting salaries. In turn, (2) enrolling in such a school allows you to earn more post-MBA. * To make the mechanism more vivid, let’s compare Stanford (where the mean GMAT score last year was 732) with Tepper (where the mean GMAT score last year was 692). Would the student who enrolled at Tepper with a 690 have been admitted to Stanford if only he or she had earned a 730? Probably not. Most Stanford applicants with scores of 730 are rejected, as are most with scores of 760, or even 800. The typical student at a top-5 MBA program doesn’t have just a higher MBA score than does the typical student at a 20-25 MBA program, he or she is more qualified in a number of ways. One indication of this is that the average Stanford MBA student earned about 55% more than did the average Tepper student before either began his or her MBA studies despite a year less post-college work experience. Another obvious problem is that a simple comparison of GMAT scores and starting salaries tells us nothing about what value, if any, the MBA program added. Maybe students who enroll at were already on a higher trajectory than were students who enrolled at Tepper. In fact, as I mentioned above, Stanford MBA students earned about 55% more than did Tepper students before either group began their MBA studies despite having on average a year less post-college work experience. So even if we assume that an increase of forty points on the GMAT would vault a student from Tepper to Stanford, it’s not clear that particular student would go on to earn as much as his or her Stanford peers. Further, Stanford MBA students earned only about 12% more in their first year after completing their MBA studies than did Tepper students. But the GMAT still matters! Tomorrow I’ll discuss some representative students and colleagues I’ve worked with over the years, and how they decided just how important the GMAT was for their applications. 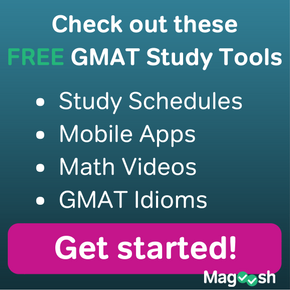 *Some researchers have found that that higher GMAT scores are directly correlated with higher future earnings. For instance, this report from way back when the GMAT was known as the Admission Test for Graduate Study in Business (ATGSB) found that the test predicted all sorts of things, including future earning. But such findings were generally viewed as evidence that the ATSGB (and later the GMAT) indicated some underlying capacity or characteristic important to future success, which capacity or characteristic would presumably not be improved by test prep. These direct correlations are not the basis for the increasing your GMAT score will affect your salary. Student Post: Why Should You Get an MBA? Michael Schwartz is really good at standardized tests. He’s earned multiple perfect scores on the GRE, GMAT, and LSAT. He’d rather have perfect pitch or be able to run low 1:40s for the 800 meters, but you take what you get. He has decades of teaching and curriculum-development experience, which you can read about here. One of these days he might finish his dissertation and collect that Ph.D. in philosophy. Might.